From the layout of the crash, the engine going backwards when it hit. 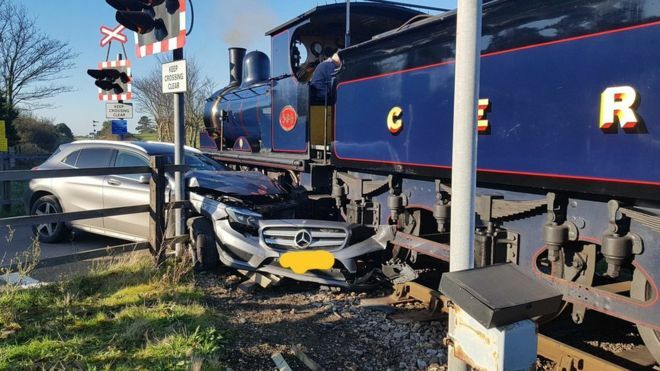 I bet the dope in the Merc though it had just gone past so it was safe to cross. She was probably lucky that she was travelling backwards.